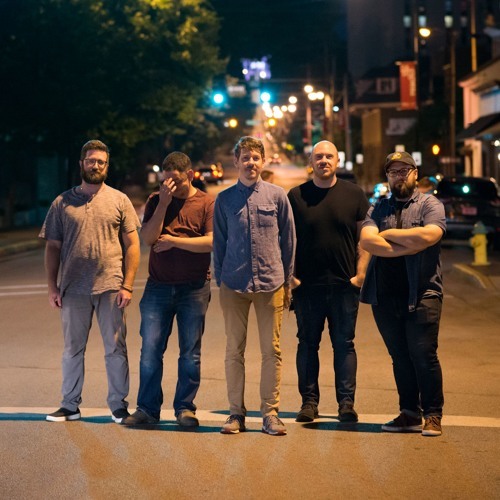 Blistering drums, masterful melodic interplay and a distinct smattering of brass — these are the defining qualities of Foxhole, a mostly instrumental post-rock group founded in Bowling Green, Ky., circa 2000. On their long-awaited third album, “Well Kept Thing”, Foxhole deliver a post-rock epic for the ages, working to cement their place in the pantheon of acts like Mogwai, Shipping News and Tortoise. Across 11 tracks, angular guitars interplay to create harmonic nuance while experimental horns coalesce with electronics into lush melodies, all driven by a rhythm section that builds foundational grooves out of polyrhythmic components. Mixed by Grammy-winner Stephen Roessner and mastered by Bob Weston (Shellac), the album was released digitally, on vinyl and CD in 2018 by Burnt Toast Vinyl. Foxhole was formed while its members studied at Western Kentucky University. Their first full-length album, 2004’s “We the Wintering Tree,” was met with acclaim from post-rock and experimental publications as one of the best albums released that year. 2006’s “Push/Pull,” a five-track “short album” inspired by a friend’s death at sea, saw a tighter focus, with more emphasis on composition and a wider sonic range. Foxhole is Derek Holt (bass), Greg Leppert (brass, keys, beeps), Adam Moore (guitars), Justin Shepherd (guitars) and Chris Vicari (drums). Past members include drummers Matthew Wilson and Jason Torrence, electronics guy Brian Toppenberg, and founding member Nathan McBroom.